I currently commute to work. The journey is 43 miles door to door. It is far from ideal to drive for just over an hour to get to work, and it is somewhat contradictory for the kind of person that I am and aim to be. However, no matter how much I care for the natural world and environment, until I’m able to move closer to the office it’s a long drive. The time behind the wheel can be a mix of emotions for somebody like me – a naturalist and a deep thinker. I see kestrels hovering in the search for prey, I notice butterflies swirling in a duel just 10 feet above the carriageway, I hear lapwings and spot them riding the air as a surfer does rough breakers, I observe the changes in the flora associated with the road verges and wider landscape, and along with all my observations I think. Wouldn’t it be great to have a time machine?! We could travel back in time to any period that we wanted to see and experience. I would set the date for around the mid 19th century and head out into the countryside. My destination would not be a specific village or hamlet, just anywhere along a main highway connecting towns and other human settlements. I imagine at this time I would see people travelling to destinations where they could find work, sell their wares, or perhaps trade livestock. Not too dissimilar to today really but travelling at a much slower speed. People would be travelling at a pace that their own legs dictate or perhaps a quicker pace if fortunate enough to be on horseback or in a horse-pulled cart. When I was a young boy I got around on foot, on my two-wheel scooter (I couldn’t ride a bike without stabilisers until I was 10! ), or by bus. Riding upstairs on a double-decker in the front seats was a particular highlight. From there I could see the whole world it seemed. The grand old buildings of Sheffield city centre (“town”) stand out in my memory as I visited town weekly with Dad to do the big shop. I also remember the pigeon lofts that we passed on our journey and the upper branches of tall trees as they scraped against the left side of the bus. Back then things seemed care free and simple. There was always something on my mind and in my thoughts, but if it wasn’t wildlife related it would be whether we would have time to visit Mace’s pet shop or if I could persuade Dad to buy me a quarter of jelly teddies from the market. Today, I still think a lot and mull things over and over. Sweets are still a big part of my life but it seems my mind is mainly full of the sad situation when it comes to the state of nature and especially the species I have known much of my life. Bus journeys were to become fewer from the age of seven. My Mum had passed her driving test before being married but my parents never had enough money for a car until this time. A blue Mini Clubman came into our lives in the early 1980s. The car had sliding rear windows with moss growing in the grooves and a pair of rear doors in place of a boot. It was amazing! There weren’t many cars on the council estate that we were living on at the time. This was reflected in the amount of time that my siblings, along with our friends, and me spent playing on the road. We would either be playing chase games or sometimes using a scuffed casey football to play kerby. Today, whether you’re living on a council estate or not there seem to be cars everywhere. Some homes have four or more cars depending on how many adults live at the address and how much disposable income they have. As the number of cars and other motor vehicles increases so does the pressure on the road network. People choose to drive to get from A to B quicker but on some popular sections of road the drive can grind to a standstill due to the number of vehicles. Having cars, vans, lorries, and the like sitting still and going nowhere with workers stuck inside is no good for the economy. Therefore, the roads are widened, straightened, made quicker, and yet more roads are built. I remember seeing American TV programmes when I was a child and thinking how grotesque the world appeared when the camera panned the apparently never ending freeways. They sprawled across the screen and across the land, car after car in parallel. I now sometimes live in that screen image as I drive along an 8-lane motorway. Over the last few years I’ve realised on my journeys that the hovering kestrels, snuffling hedgehogs, and duelling butterflies aren’t utilising the road verges because it is the best habitat. They are in fact residing there, living life on the edge, because it’s the only suitable habitat left. Resilient nature… for how much longer? This really hit home when I saw a kestrel riding the wind 10 metres or so above the central reservation of the M18. 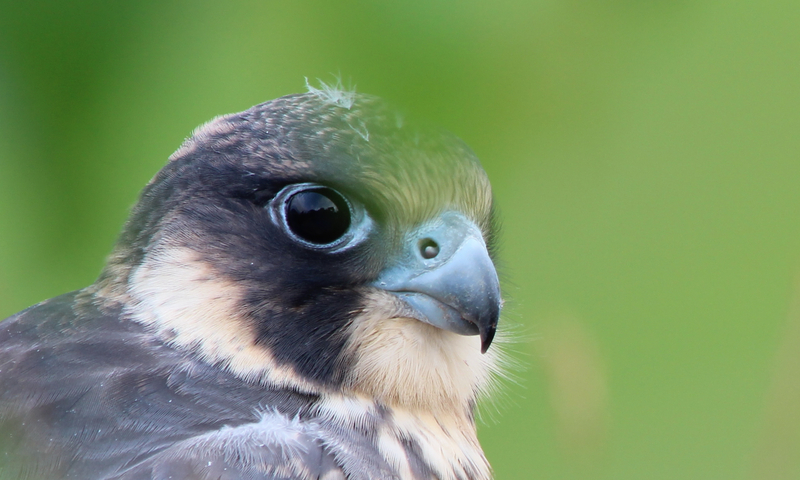 I was travelling at 70mph, yet the moment the falcon dropped from the sky on to the vegetation to grab its prey, it dawned on me in all of its enormity that we had pushed these creatures right to the very edge. If the landscape consisted of suitable habitat where voles, lizards, and grasshoppers thrived, then this majestic bird would not have to risk its life on each hunt. Biodiversity is a word that is often used to highlight the range of species within a given location whether localised, on a regional, national or international scale. The biodiversity I witness day to day and throughout my years hasn’t significantly changed. However, the bioabundance most certainly has altered, and in the main the trend has been negative. Road verges and immediately adjacent areas provide a wide range of habitats including: grassland, woodland, hedgerow, rock escarpments, wetland, reedbeds, watercourses, and brownfield. If wildlife is doing well in such locations and the dependency on motor vehicles continues to increase, surely it would be wise to recognise this and widen (to at least 25m if possible) road verges and enable them not only to provide corridors for human movement but also for nature.